The Detroit Club has a rich history of being celebrated as the premier meeting place for some of the greatest business minds of our time. The meetings held behind these doors eventually lead to a new age of industry, and held an integral part in launching our nation into the super power that it is today. These doors have opened once again to bring together the brightest and best minds that our great city has to offer. Enjoyed seeing this historic building. The dining room is a good size (two medium-sized rooms plus a bar), and not loud so it was easy to have a nice conversation over lunch. Menu was predictable; food was well-prepared. Service could be a bit smoother, but it was fine overall. Lovely atmosphere, good service. I would definitely recommend. Beautiful building and we enjoyed the brunch very much. Beautiful atmosphere, attentive staff and incredible food. A great place to go with good friends or family. Terra the bartender was lovely and made delicious cocktails. My husband ordered the meatballs which were dry. I ordered fish and it was dry as well. We were bummed. Enjoyed this hidden gem of Detroit! Amazing as always! Adiya was amazing to both us and my fiances two teenage sons. She made us all feel so special and part of a magical evening! 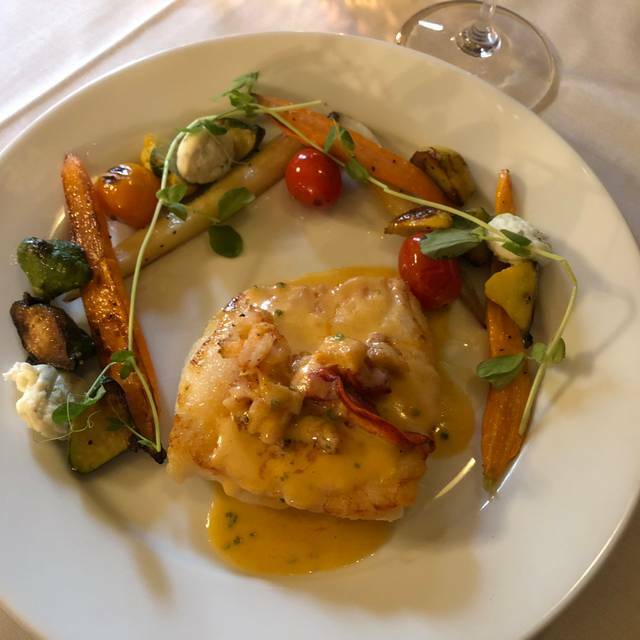 There truly is no dining experience like the Grill Room! Great food and wonderful hospitality by the staff! See Alana to schedule a great event! Ambiance was amazing! Drinks and appetizers were excellent! It would have been perfect if the meal had arrived sooner. It took well over an hour to get our main course, without an explanation. By then, we had drank and snacked on bread so much, we couldn't fully enjoy our entrees. And, at $25-$30/per entree, we wasted most of it not wanting to carryout. It was fantastic. Building is incredible to see. Service was impeccable. I highly recommend Adina. Food terrific. Will definitely return and already told two friends they have to go there. The food was fine and not the problem. We were there for Sunday bunch. When looking for a reservation, the only time left when I looked a couple of weeks ahead was the last seating at 2:30. I expected the dining room to be full. Not so. There were only 2 tables of 4 there when we arrived. ?? The job of the person at the front door seemed to be making sure not just anyone came into the building. It was odd. She then couldn't find the hostess and found our reservation herself. We were seated in that near empty dining room. The service was fine but the drinks were slow to arrive. They had go to find the bartender. The beer that was ordered turned out to be unavailable and another had to be chosen. The scone basket didn't contain the assortment promised. One of the selections was gone. The food was good and well prepared and the portions generous. As we were done with the meal one of the waiters began sweeping up behind the bar. It's good to be cleaning up but not while people were supposed to be enjoying a meal in a place that purported itself to be a "fine dining" experience. Overall it was an odd situation. I won't be back. Such a great brunch experience for my mom's birthday. The wait staff was friendly and attentive, the ambiance was lovely, and the food was delicious. We'll be back! This was our first visit to The Grille Room but hopefully not our last. 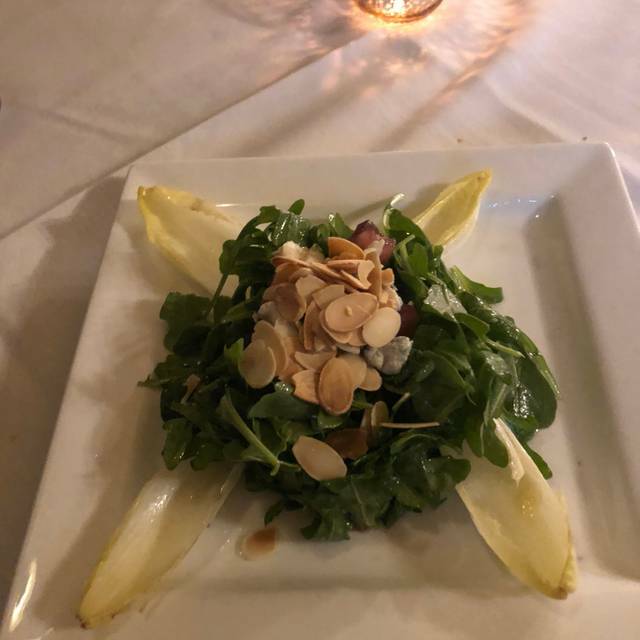 We attended as part of Detroit Restaurant Week and loved our experience. Our server was wonderful, the food was amazing, and we had a fabulous time. After dinner we had a drink in the Library and enjoyed the unique offerings and the music. Amazing ambiance! Great food and drinks!! My friends and I went for Restaurant Week. The building is amazing. Staff was very friendly and efficient. Our server took note of our names which was a nice touch. The food was wonderful. Between us, we had the sea bass, the filet and the duck. Everyone loved their meals. We would all love to come back again. Decided to try The Griile Room during restaurant week. We were not disappointed. The food was excellent as was the service and ambience. We had a drink before dinner in the library bar, which is very cozy and warm. We will definitely be back. Went for restaurant week. Had awesome service. The short rib ravioli was delicious. 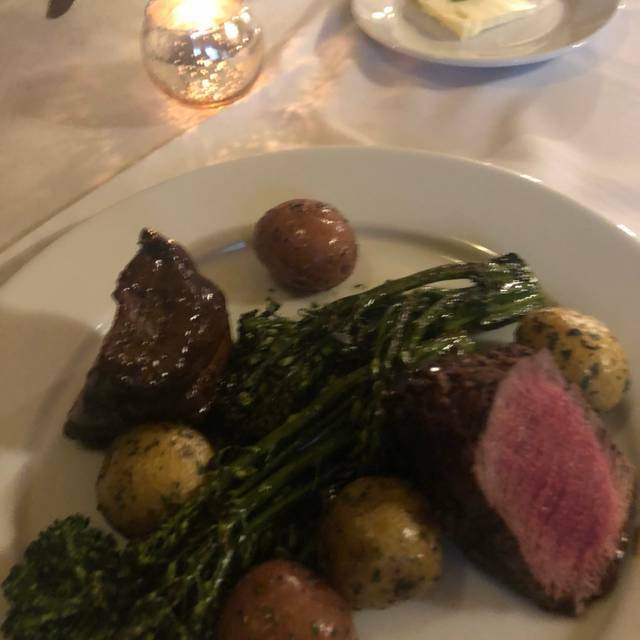 Filet was only ok. It seemed like they had precooked them and just heated them to final temperatures as they were ordered so that was disappointing. Desserts were delicious. I would go back but they need to improve the filet experience for sure! The ambiance was great!! We greatly enjoyed our time at the Grille Room for Detroit Restaurant Week. Our server was friendly and attentive, however the staff that was in charge of delivering our meal to the table was slow and we were forgotten about a couple of times. Tables seated after us received their entrees and completed dessert well before ours were even presented. Our server was set to bring us the bill for the night because she had thought we had been served dessert already. 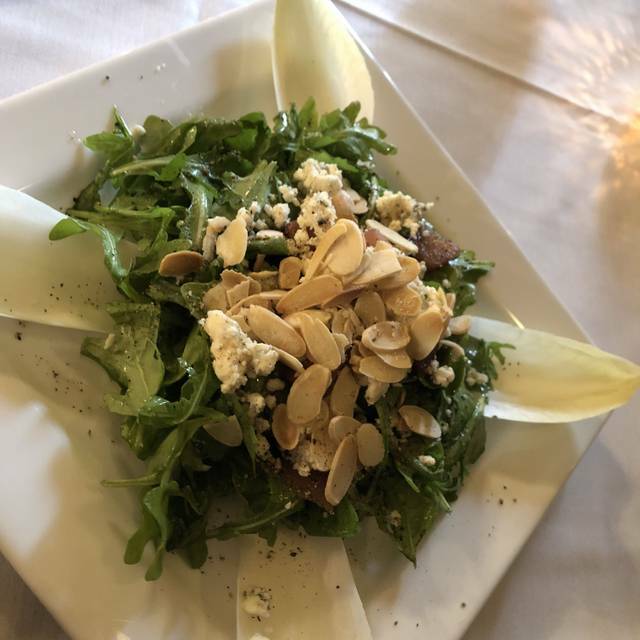 I would try this place again because the food was amazing and the ambiance was lovely, but I would build in extra time just in case the service time was not a fluke because of Restaurant Week. 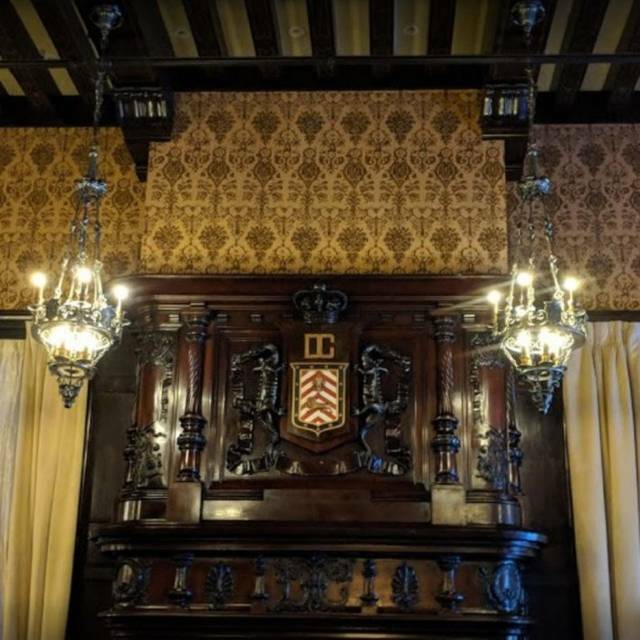 Great historic room. We were there for Detroit Restaurant week and they had very fair sized meals. The Library bar (before dinner) is outstanding. I always wanted to check out this historic building, and now they have a very good place to eat in it. I will have to return to check out the full menu. i've been wanting to go there all my life-it was worth the wait! beautiful! The building is just grand - it's a gem for the City. The dining room is just lovely, not crowded and well appointed. The brunch menu is not extensive, but each selection has been perfected, with quality ingredients - there is much to be said for that. Portions are generous. Staff is attentive; our orders accurate. Have been for dinner and brunch - recommend both! 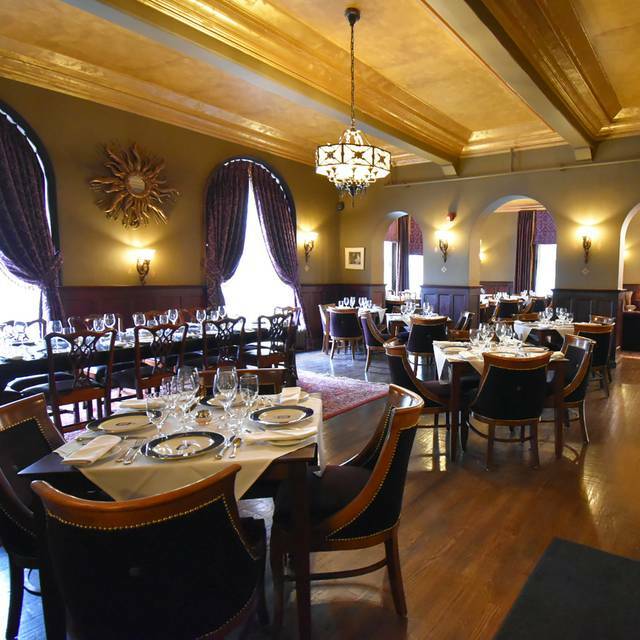 This restaurant is part of the historic Detroit Club. It’s a true gem polished with an elegance that speaks to the history of the city. The ambiance is classy and the food is excellent. The waitstaff was courteous and attentive. We went during restaurant week and couldn’t have enjoyed ourselves more. I highly recommend it. We were drawn to Grille Room for its history, during restaurant week, believing that it was otherwise not open to public. The restaurant week menu options were quite extensive and tasty! 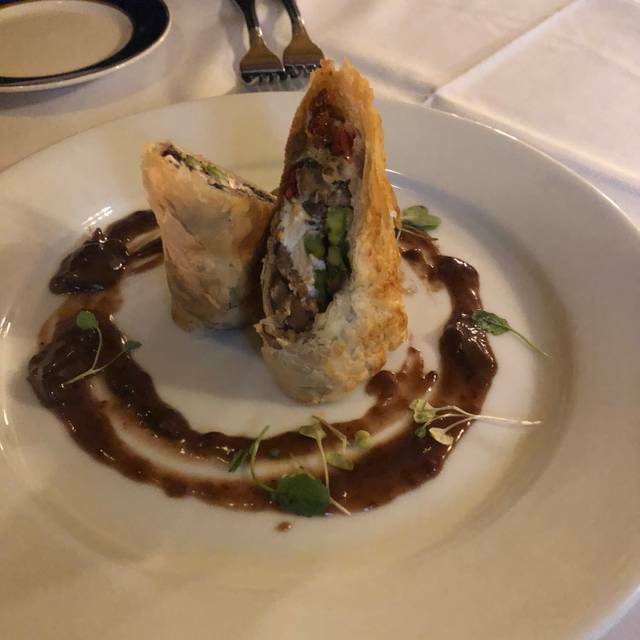 We had the Mille Feuille appetizer (mushrooms, sauce in a pastry) that was fantastic, followed by filet mignon with a black garlic demi, and finally a chocolate mousse cake. Drinks were substantial and well prepared, and waitress was very attentive. Atmosphere was fantastic, dripping of the history of this historic place. Do be prepared for a substantial bill, restaurant week pricing was substantially below normal menu rates. But worth it for a special occasion. Great food from appetizers to desserts. Staff was friendly, knowledgeable, attentive, but not intrusive. This was our first visit to The Detroit Club since it reopened and had a very enjoyable evening. Great service in The Library Bar and dining room (thank you Erin). Very creative and tasty three course dinner. Planning to come back in near future. 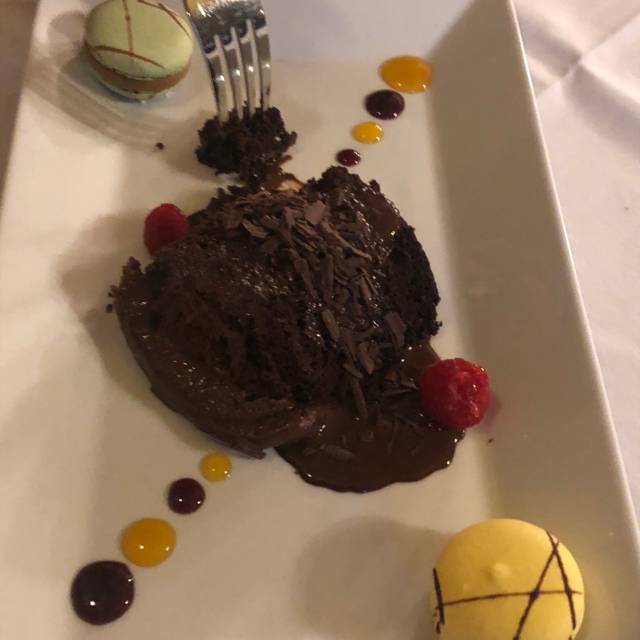 Great food and service but the chair was extremely uncomfortable and the prices were pretty high, $200.00 for a dinner for two with one drink each and a shared dessert. Ambiance was fantastic—what a gem! They did an awesome job renovating! Food was average and definitely not worth the high price tag. The worst part: the sautéed shrimp came with a garnish that I made the mistake of eating. It was a red-hot pepper! Not only did my mouth burn for 20 minutes, but I lost all taste for 15 minutes! Not sure what the chef was thinking putting that with any meal!!! Went to the cigar bar afterwards and it was very enjoyable. Cigar selection is a bit limited but they have the basics. Charming old club setting. Fun to see the building. Food was excellent: no "overcooked", meaning not too many extraneous ingredients just to sound exotic. Nice range of selections. Nice range of wine choices by the glass. Loved the atmosphere, service was outstanding. My eggs Benedict didn't taste right so they immediately replaced it with amazing french toast. The Grille Room at The Detroit Club is simply outstanding. The food, drinks, atmosphere, service and prices were excellent. Highly recommended for Sunday brunch. Everything began well enough, nice cocktails. When our meals arrived we realized we had lost our silverware with the salad course. Sat for 3 minutes waiting for someone to check on us, nothing. Finally went into the kitchen myself for them. Next my medium steak turn out to be well done (grey throughout), sent it back and after 20 minutes still didn’t get my meal. Waitress came by and said it will be out soon, but everyone at the table was finished so I told her to forget it. It was my wife’s birthday dinner so dessert and coffee was planned. But no. Our check was brought to the table without asking for it or apology. After seeking out Anthony the manager with my complaints, they offered coffee and dessert without charge. Coffee came but 15 minutes later dessert didn’t. This prompted me to seek out the chef for an explanation as why things were going so poorly. 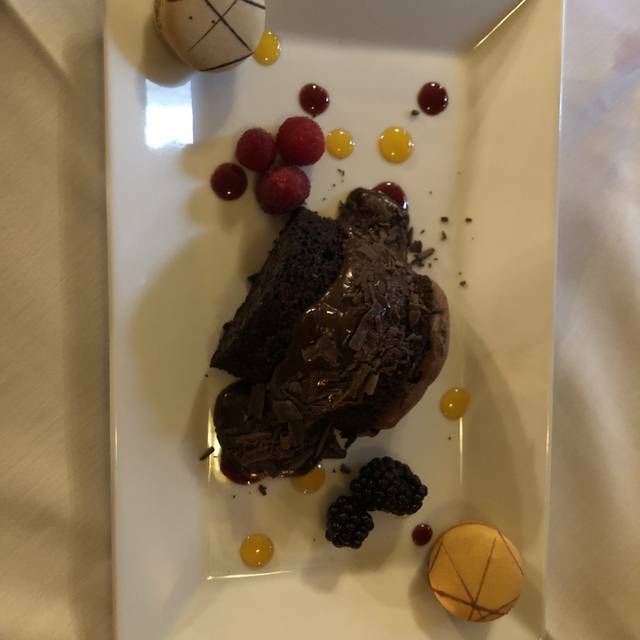 After a short discussion chef Kirk said “look it’s just a meal so why get so upset and sometimes things don’t work out the way you expected “. I was shocked that he felt we came to the Grille Room for “just a meal”. My response was that we actually came for an experience and that I can cook “just a meal” at home. So I shrugged my shoulders and walk away disappointed. Service was great, ambiance wonderful and Sea Bass amazing. Truly wonderful evening out! My wife and I enjoyed my Birthday dinner. We enjoyed a drink at the Library Bar in the Detroit Club and a wonderful dinner at the Grille Room. The design and and decor are remodeled very nicely! It’s like stepping back into the 1930’s as a wealthy elite, but very warm and inviting. The food was 50/50 as 1/2 the meals came out cold and service could certainly be improved since they’re responsible to deliver. Nice wine selection. Overall, I’d go back for special occasions and with friends who want to experience the Detroit Club.